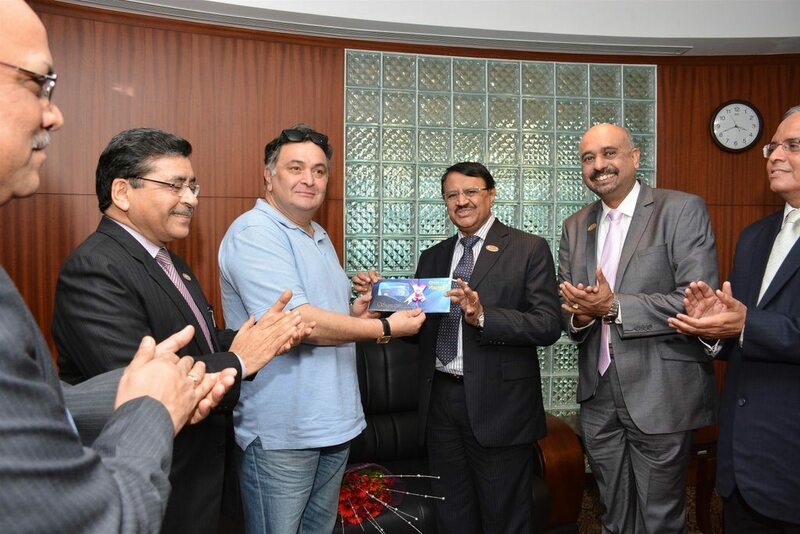 Rishi Kapoor gets money minded! 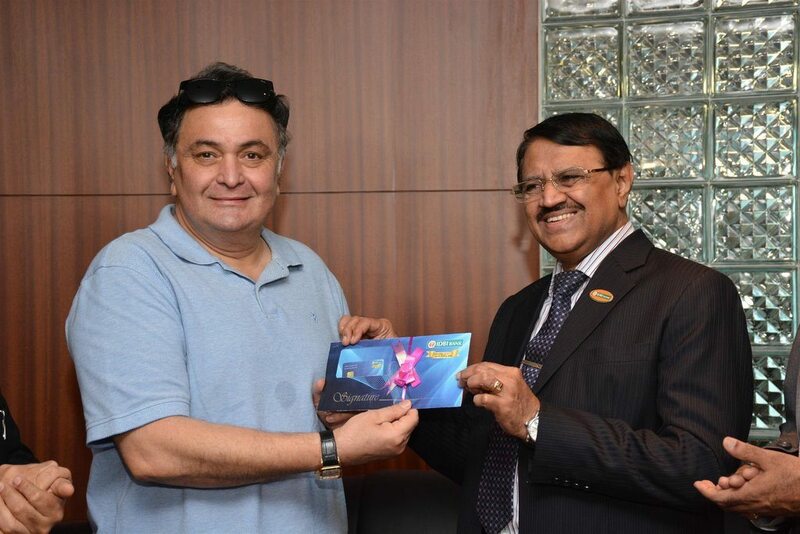 Veteran Bollywood actor Rishi Kapor was at the launch event of the new IDBI debit card – which also marked the golden jubilee of the bank – held in Mumbai on July 1, 2014. 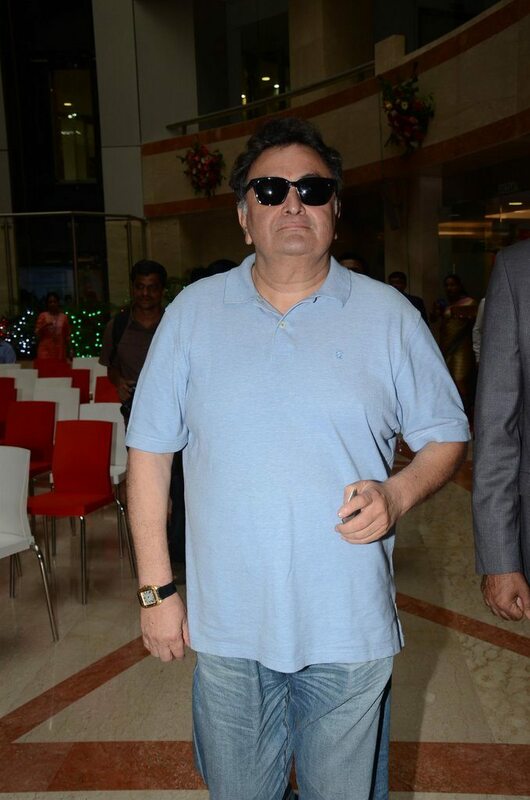 Kapoor donned a casual attire for the event, he sported a denims and tee look with a pair of classy black shades. 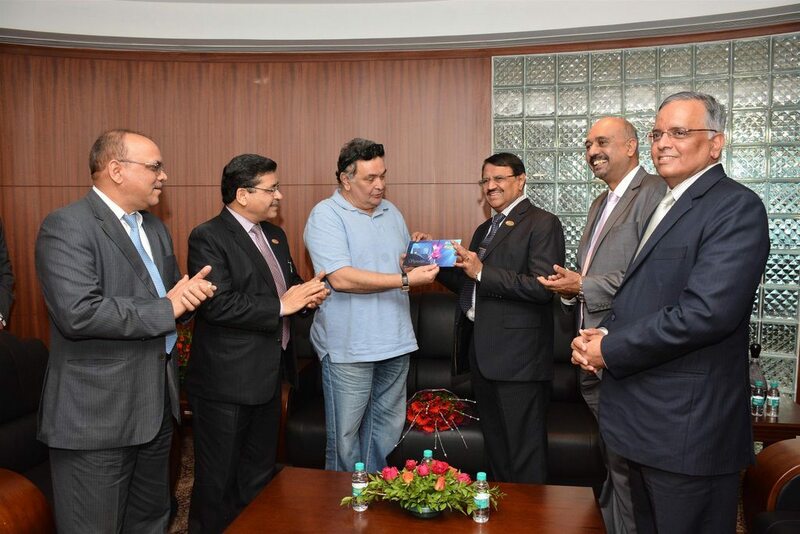 Rishi unveiled the new debit card of the bank and was also honored by the dignitaries at the event. 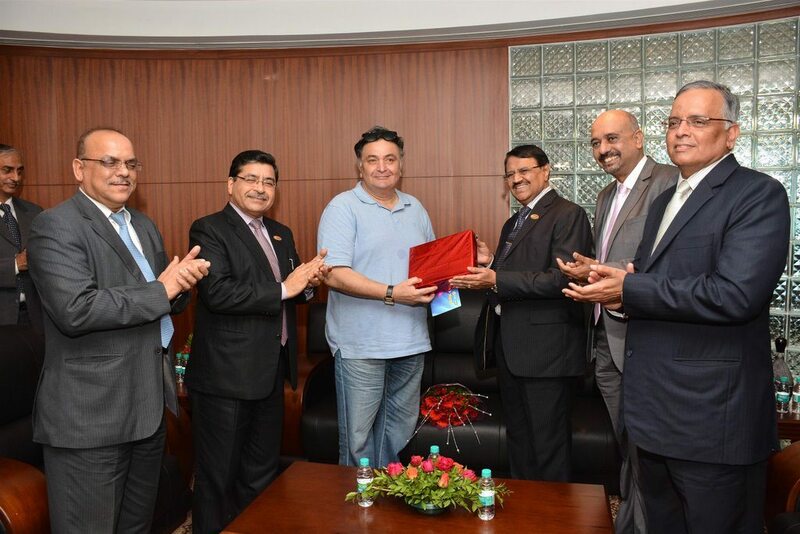 IDBI bank announced the launch of their new Signature Debit card which will have special benefits. The bank in its Tweet said that they dedicate the new debit card to the veteran actor who is one of their oldest customers.